The Bears received a mixed bag of results from their latest set of home fixtures. 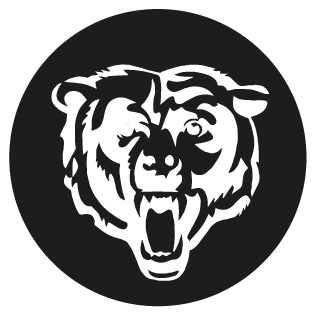 First up, Bears 3 played Birmingham Phoenix (formally Blackcats), who returned to the league after pulling out from Division 1 two years ago. Next on the fixture list, Bears 2 played the clash of Bears teams as they hosted Sussex Bears. Finally, Bears 1 had the daunting task of facing last season’s Premier League runner up, the Owls, another team brimming with GB international players. The Bears made a positive start, having seemingly learnt from their experiences in the Premier League. The team was able to stay on a level par with the Owls to go into the end of the first quarter with the scores Bears:9– 14 Owls. The second quarter the Owls ramped up their defence and limited the Bears access to their basket, whilst adding to their earlier lead to go into the half time break with the scores Bears 15 – 31 Owls. The third quarter was the major downfall for the Bears as the Owls superiority in speed and fitness took full affect and the Owls were able to run up their score, whilst limiting the Bears chances. The scores going into the last quarter Bears 21 – 52 Owls. The last quarter was all about pride for the Bears as they kept plugging away with little success. Coach Masterson took the opportunity to give court time to his younger players. The game played out to final score of. Bears 29 – 70 Owls. Bears 2 brought some joy to the days fixtures when they continued their winning run to four games by winning the “battle of the Bears”, With an outstanding display by Theo Pinnington and a impressive game by Aimee Lane, who was promoted from The Bears 3 team, the Bears were able to continue their run of wins and bring some joy to the day’s games. After the game, Bears 2 coach Daz Peasley said “ Another good win today against a resilient Sussex Bears team. Special mention to Aimee Lane who had to step up a division and did a marvelous job for us.”. Earlier in the day Bears 3 gave a spirited and impressive game against the Birmingham Phoenix. The Bears line up featured their impressive junior players Ellan Fraser and Aaron Grant, who has been invited to the GB Under 22 trials for the squad for 2020. Also taking to the court, was one of their newest team member Joe Preston, who scored an impressive 10 points on his debut game. Bears held Phoenix up until the middle of the last quarter, but Phoenix’s seasoned players were able to see Phoenix out to the win Bears 3 44 –53 Phoenix.